These beautiful earrings measure 4.7cm (approx.) 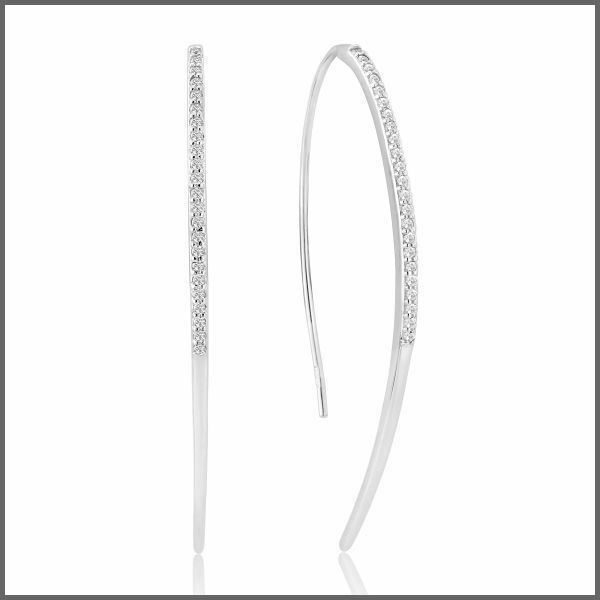 in length and 1mm in width and have been crafted from sterling Silver, embellished with sparkling crystals. These earrings hallmarked and authenticated in Dublin Castle, Ireland and beholds a Waterford seahorse emblem for authenticity.